This delicate Japanese Red Maple was backlit by the late day sun. 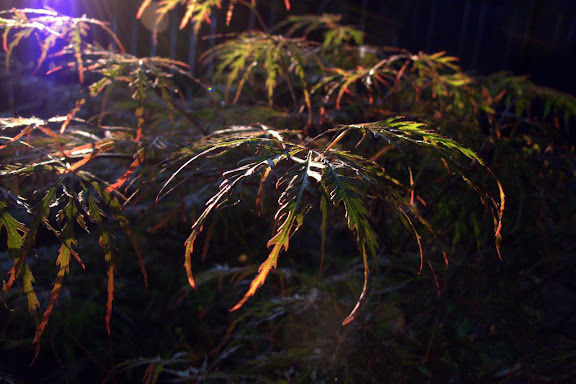 Japanese maple trees are prized for their lacy, or “dissected” leaf type. Canon G10, 1/320 sec @ F2/8, ISO 400, 11mm equivalent focal length in macro mode.